Our volunteers are AWESOME and we couldn’t provide all the FANTASTIC arts programs here in the Branson Tri-Lakes area without them! Would YOU like to join our effort? 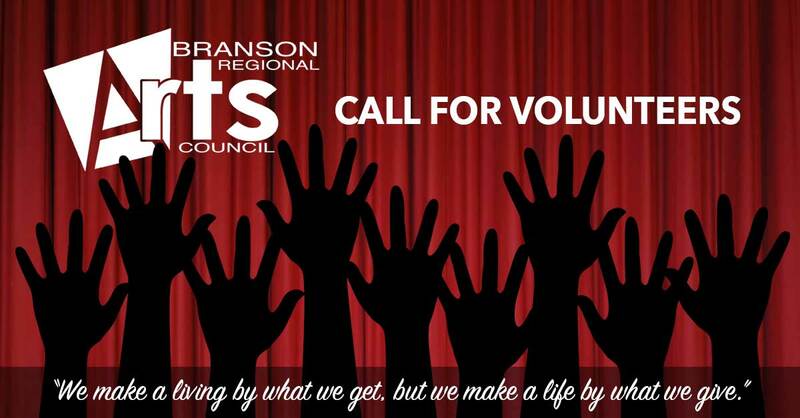 Help us make artistic magic by volunteering with the Branson Regional Arts Council.